Volvo's are actually Chinese now. Geely are finalising the last details of the purchase with completion of the sale expected by next week. The agreement marks the latest in string of manufacturers changing nationalities. Not that Ford, their previous owner, was very Swedish either. The dilution of a car firms national identity through it's sale to a foreign owner is not a new challenge. Skoda's aren't Czech they're German. Same with Bentley, Rolls Royce, Seat, Lamborghini, Mini, Bugatti. All brands that are very profitable in fobbing us the values of British regality, Italian Flair etc. If Geely let Volvo retain their autonomy then their Swedish heritage should let the brand wield its magic like it always had done. A key distinction in this $1.8bn deal is that a Geely Holding Co. is buying the brand and not Geely the car manufacturer. This means Volvo can do it's own thing in Scandinavia. So why are Geely buying it? China's getting rich. Fast. 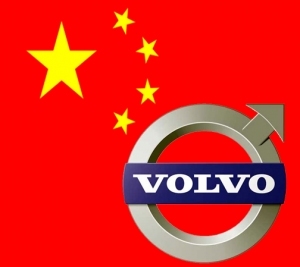 There is room for a luxury manufacturer in China hence Geely will also produce Volvo's for China in China. If "home made" cars can create a little national pride then this acquisition should reap dividends for Geely. My main concern is that Geely's truly awful safety record could damage Volvo's Global USP of being a leader in safety. Global public knowledge of Volvo slipping into Chinese hands may be enough for them to take a step back from the car dealership. Check out a typical Geely crash test: http://www.youtube.com/watch?v=8vAN2cx2UIE. A look at their website reveals a worryingly vague approach to safety: http://www.geely.com/brands/international/Geely_FC.html. This will be a challenge in public relations for Geely as they seek to keep their Chinese identity under the radar. As the Germans have shown this can be very successfully done but Geely have the extra hurdle of bridging an unprecedented gap in brand identities with regard to safety.